Using pictures on your blog or website will make a more striking impact to your readers and make your posts instantly appealing. With so many blogs out there, it is vital to make sure that yours stands out. Using good quality images is the perfect way to compliment your well crafted posts. Whether you are after photos, cartoon images or clip art you should be able to find what you are after in the websites shown below. Many of these images are also suitable for use in other material (e.g. Sunday school lessons etc.). To use the free images some websites may require you to create an account, whilst others may request that you give credit to them when you use the images. Some people take umbrage at this, but personally I am more than happy to give credit where it is due. Therefore, before you use any of the images just make sure you follow their ‘rules’ and don’t infringe any copyrights. However, all the websites are 100% legal and also have free plenty of free content. The recommended sites are split into four sections, and you can click on the thumbnails to see a larger image. Always check the copyright requirements for the websites, they are all free but may require you to link back to them or give credit. This site has a superb collection of clip art images and has new content added each week. The images are sorted by artist, or you can search for key words. There are also some pretty good favicons. This site is packed with great cartoon images, all of which are easy to search through. These would be particularly suitable if your website is aimed at children or youth. This website has a variety of high quality clip art images. It is especially strong for clip art based on words from the scriptures. Unfortunately the site is not now updated regularly. There are some superb cartoons here which are free to use, with the content growing every week. Whilst not all the pictures are great at Morning Star there are definitely some worth checking out. There is a particularly good collection of crosses and ixoye (the Christian fish image). Upon this rock has a large amount of picture verses and also a good collection of ixoye (the Christian fish image). John Bell’s website has a fantastic collection of scripture images (basically a picture with a verse from the bible on it). Just because a website is not Christian doesn’t mean it won’t have images that you can use on a Christian website. Firstly people will post Christian images on these sites, and secondly you may want a picture that is not exclusively Christian (e.g. you may be doing a post about love). This is often my first port of call for high quality copyright-free images. Simply type in a keyword and get the related pictures! Because there is a quality control it means you aren’t left sifting through lots of rubbish pictures. This website is well designed and very popular. Before using it check out the superb Flickr post on SkellieWag’s blog that shows what you can and can’t use and how to find the best pictures amongst the millions of bad ones. The image shown is by Mr Kris. This is a great site that searches the internet for the best free stock photos. A large proportion are from stock.xchng but there are others too. Just be careful you follow the copyright rules! Business Blogwire also did a good post on the 10 awesome places to get free images for your blog. I found the other sites on this list more difficult to find high quality pictures on though, so try the other ones mentioned above first! Free Christian Clipart: A great site with simple cartoon images. Wallpaper for Christ: This website has… wallpaper! BibleVerseArt: Images with bible verse on them – good quality. I’m sure I’ve missed some out, what are the websites that you use? I came in to read about your resources. I am always looking for new folks to link to. I noticed that you’ve linked to the people at http://www.biblepicturegallery.com under my link’s name by mistake. The Pick and Print Gallery is at http://www.pickandprintgallery.com However, there is also good stuff at the Bible Picture Gallery too. Thanks for spotting that and letting me know, it was such a long list – I think it went wrong when I tried to re-arrange the list! I have changed it now so you have the correct link. Sadly, it seems to me that most of your links are not truly free. Many seem to be pay sites. This stuff is no strings attached. And there’s a whole lot more on that site that’s not specifically Christian, but useful for Christian purposes. It’s actually mostly from http://openclipart.org – just with a friendlier interface. The OpenClipart stuff is also no strings attached, which is why clker could copy it no charge. Thanks for your comment, and for visiting free Christian resources. All the websites shown have a selection of no-cost images available, even if some do charge to access their whole catalogue of images. There is some debate over whether an image is free if you have to provide links back and so on, but in my opinion they are. Thanks for the suggested website that shows no-strings attached Christian images. I will have to add that to the list. Thanks for the mention in your article, but actually, there is only a very small collection of sparkly or flashy images on the GospelGifs website. Most of the hundreds of images are very traditional in nature, almost all of them specifically geared to a Bible-centered Christian witness. Thanks for your comment, I’ve updated the post to be more representative of your website. I wanted to make you aware of yet another website for free Christian clipart, though it is best suited for print publications, such as church newsletters and worship bulletins. I design them myself, and post one new graphic each week. For now, each graphic only stays on the site for one week, before being replaced by another. And that particular graphic is always free. If you will visit the site, you will see that the kind of graphics found there are different from most other Christian clipart. I would appreciate a listing on your site for your visitors to see. Thanks in advance! Paul, your request goes a little beyond the reach of most simple clip art sites, but you may find help at some of the “myspace” type sites that offer various comments tools. One that comes to mind is http://www.spacefaith.com, where they offer special tools of this nature. You can select an available graphic, I think, and then add the Bible verse as the comment. It may be worth a try for adding graphics to very specific passages of Scripture. I am not aware of any websites that offer such a service with clip art or pictures. Your best bet may be to go to a website with lots of images (Flickr or Stock.xchng) and then search by the theme or key word from the verse you are interested in. To access the free clip art you will need to visit the individual websites mentioned in the review. David, I just wanted to show you all the new Easter resources located at one of the gallery’s many new blogs. Check it out! An Easter Rose is loaded with all kinds of cross clipart and easter themed graphics too. There are two indexes here so far plus great public domain poetry and articles. And, it is all about Easter! David, I just wanted to show you all the new Easter resources located at one of the gallery’s many new blogs. Check it out! An Easter Rose is loaded with all kinds of cross clipart and easter themed graphics too. There are two indexes here so far, plus great public domain poetry and articles. And, it is all about Easter! Why is there a provocative ad on a Christian website (Start your journey now, my Lord/Come play, my Lord)? This reflects badly on an otherwise excellent and informative site. SHALL EVER GRATEFUL TO GOD AND YOUR GREAT ORGANISATION FOR THE ROLE YOU HAVE TAKEN TO BLESS MY MINISTRY. MAY GOD YOU. Thanks for these free christian resources (images). I can now make my blog ( http://lovekingdomministries.wordpress.com/ ) more striking impact to my readers and make my posts instantly appealing by inserting these beautify images. I’m glad that you find the resources I linked to useful, and I like the look of your website. it has bible verses attached to the clipart/cartoons. i find ti quite useful. God bless. Hello just thought i would tell you something.. This is twice now i’ve landed on your blog in the last 2 weeks looking for completely unrelated things. Spooky or what? where do i can download for free admin? A follow-up from my above post. http://openclipart.org now has a much improved interface making it very easy to use. It is not Christian, but has over 20,000 free high quality clip art images and many of those will be useful for Christian purposes. They are available as either png (similar to jpg) or svg (vector art you can edit in adobe illustrator, photoshop or excellent free software packages like http://inkscape.org or http://gimp.org). Hey, everything we have on http://www.churchhousecollection.com is completely free. We made this site after years of sifting through sites claiming to be free and turning out to want money. It is geared towards children’s ministry, and focuses on christian clipart, but rapidly expanding to assist as many people as possible. The site http://www.auroraclipart.com is really good for free Bible clip art for Sunday school lessons. 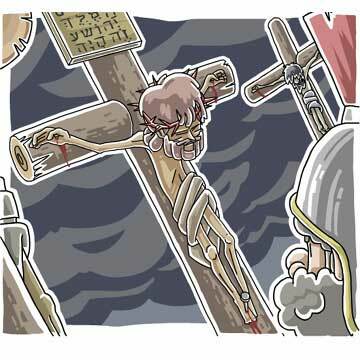 There are illustrations for just about every Bible story. The site also has illustrations of many of the items mentioned in the Bible and examples of clothing, tools, coins, jewelry, etc. that were used in ancient times. The clip art came from an old Bible and is in the public domain, so the Bible clip art at http://www.auroraclipart.comis all free to use. I think you need to be concerned with the images freely uploaded through this site. Even when searching simple links with words such as jump or happy, clear pornographic images are available. Until they change their upload screening wont’ be visiting it again. 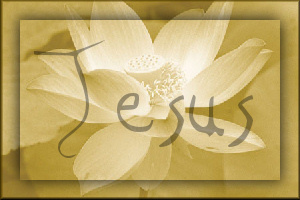 Another great site to get Christian-inspired clip art http://jesuschristwallpaper.net. Hope this helps. My professional career started out with studying film and after that working with documentaries and features for a couple of years. I always had a passion for stills photography and after getting a job on a Norwegian newspaper I switched career to an expression form more suitably for me. One of the sites above has a new url, FCI Free Christian Images is an old site that is back online at http://www.freechristianimages.se . I precisely wanted to say thanks again. I’m not certain the things I would have used in the absence of the type of recommendations shared by you directly on such subject matter. It had been an absolute traumatic issue in my circumstances, but spending time with a specialised way you resolved the issue took me to jump for fulfillment. I’m just grateful for your service and thus wish you comprehend what a great job you are getting into teaching the others thru a blog. I’m certain you haven’t encountered all of us. What’s up, its pleasant piece of writing on the topic of media print, we all be familiar with media is a fantastic source of information. subject but typically people do not discuss such subjects. 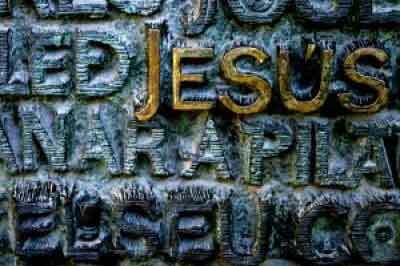 3rd Dec - Free Christian images from google!